Are you looking for ways to improve the comfort and efficiency of your home’s heating system? If you have a large home or an older home that doesn’t circulate heat very well, zone heating could be the answer. Most homes have a central heating system that’s used for keeping a home’s interior at an ideal temperature during the day. Zone heating, or spot heating, involves heating rooms you are using and leaving other rooms cool. Find out why you should consider zone heating for your home by reading the reasons below. Why keep the bedrooms warm all day if you spend your time in the living room and kitchen? Do you need the living area heated up while you’re asleep? Most people spend eight to nine hours in their bedrooms and for one-third of the time, the furnace runs only to heat a few relatively small rooms. Zone heating is a surprisingly simple approach that involves turning down your thermostat and using space heaters to target only the rooms you’re using. Closing ducts and doors to unused rooms is a traditional approach to zone heating, but it is also one that doesn’t work well with modern heating systems. A good HVAC system allows heat to flow throughout the house and if you interfere with the intended airflow, your system will work too hard to push air against those closed vents, which can diminish your system’s efficiency. Lowering your thermostat and supplementing your HVAC system with space heaters can improve your system’s energy efficiency. 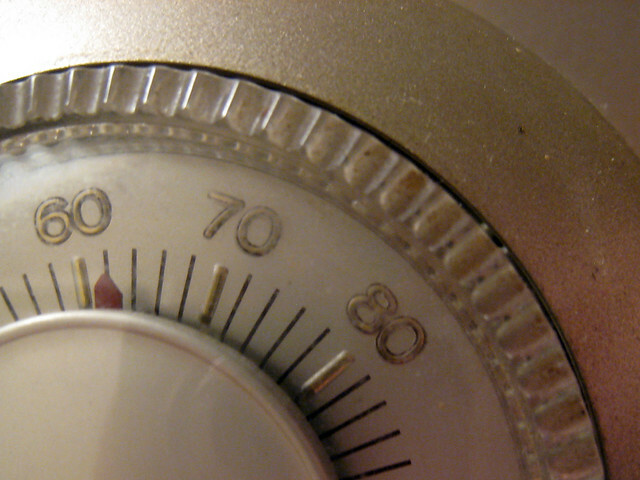 Heating the house to a comfortable temperature while you’re using only one room wastes both money and resources. Some families report saving as much as $700 over a winter season by using zone heating. If you have a large home, your savings could be greater. The amount you can save depends on a number of factors, such as the size of your house, the number of people in your family, the type of home floor plan (open or closed), and the type of system you’re using to heat your home. Those dollar savings could reflect savings on fossil fuels as well. According to the Natural Resources Defense Council, an independent activist group that’s been leading the energy movement since the 1970s, electric and natural gas utilities create more than half of the pollution associated with global warming from fossil fuels in the US. Streamlining your home’s energy efficiency is one of the best ways to impact climate change and cut your carbon footprint. Even if you don’t mind paying higher power bills, you might not want to deplete the earth’s natural resources to heat unused areas of your home. Zone heating lets you live comfortably with a low thermostat setting. If you spend a lot of time in one spot — a home office by day and your couch in the evening — a small electric or ceramic heater in that zone will keep you cozy even in a cooler house. For your bedrooms, look for silent oil-filled radiators with built-in timers that can get the room warmed up before you enter and keep it warm until you’re finished getting dressed in the morning. Add a heat lamp to your bathroom to quickly warm the room when you’re ready for a shower or bath. Zone heating is a flexible idea that you can adapt to suit many situations. Once you start thinking about heating the room you occupy, instead of heating your whole house, you’re sure to come up with ways to apply this concept to your home.